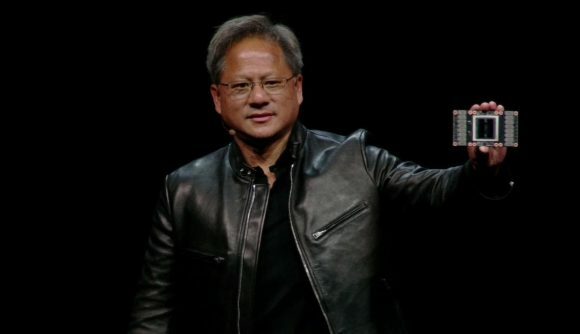 Nvidia CEO Jen-Hsun Huang has said its $6.9bn acquisition of Mellanox was an awful lot to pay for the datacentre networking company, calling the final sum “beyond imagination”. And while that deal is still pending the final stamp of approval, Huang’s made it clear he doesn’t plan on opening his cheque book again anytime soon. Like most silicon valley companies, Nvidia has a history of key acquisitions. Nvidia’s latest buyout widens its datacentre portfolio considerably, adding a roster of networking infrastructure and interconnect technologies to its product catalogue. However, the purchase cost Nvidia a pretty penny, and at $6.9bn, or over 6% of the company’s overall market value today, Mellanox marks the most expensive acquisition in the green team’s history. It seems Intel, which was also reportedly in the running for the company, may have managed to crank up the cost before dropping out of the bidding war. Speaking at a Calcalist business conference in Israel – the home turf of Mellanox – Huang told attendees that the Mellanox deal is “a great acquisition”, but that he was “not looking for another.” Perhaps sensible after his multi-billion dollar spending spree. But the real kicker is how Huang responded once asked whether the company had spent too much money on the acquisition (via Reuters). Huang went on to reiterate his belief that the datacentre will soon be all-consuming, and that the company was shifting towards the world of enterprise and cloud computing. Its most recent purchase nets it the ability to offer end-to-end accelerated datacentre solutions, which, critically, will not be hugely reliant on competitors’ CPU technology. Offloading network processing is Mellanox’s speciality. The Nvidia purchase is sure to have rustled some jimmies over at Chipzilla, which is also attempting to break into the world of parallel processing with its own Intel Xe GPU. Mellanox will continue to operate independently once the deal is finalised, which is expected to happen before the end of the year. Every product and every employee will be retained, Huang went on to say.